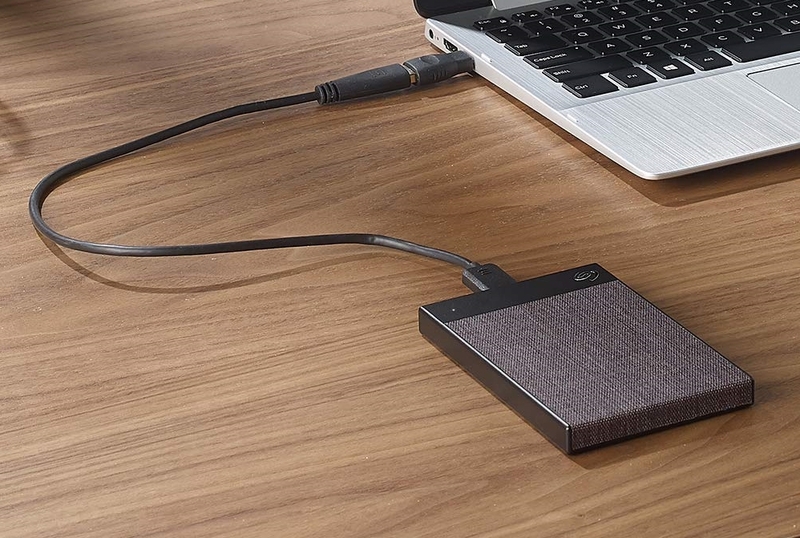 Seagate has made it customary to launch a few external storage solutions at CES each year. This time around, the LaCie brand is getting a couple of newly designed all-aluminium enclosures. The two have an 'eye-catching diamond-cut' design, and complement the look and feel of the current Apple notebooks (LaCie's primary target market). 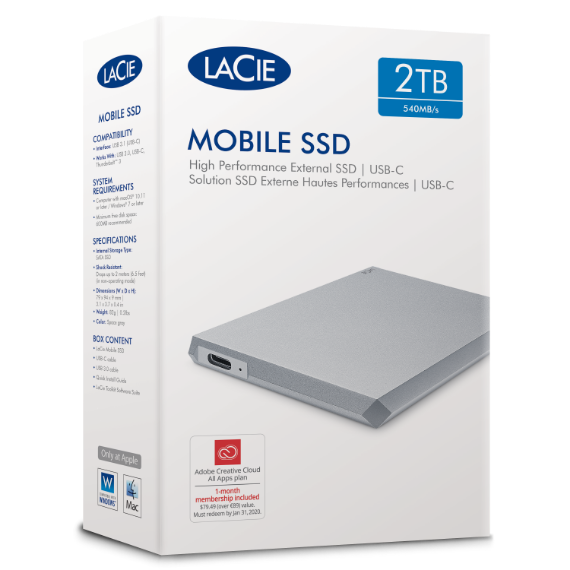 The LaCie Mobile Drive (external hard-drive) comes in capacities ranging from 2TB (10mm thick) to 5TB (20mm thick), while the LaCie Mobile SSD (external SSD) comes in capacities up to 2TB. Both have a USB 3.1 Gen 2 Type-C interface, and come with the LaCie Toolkit software (for backup / mirroring purposes that external drives are commonly used for). The Mobile Drive is a capacity play (up to 5TB capacity), while the Mobile SSD is a performance one (with speeds of up to 540 MBps). Both products include a 1-month subscription to the Adobe Creative Cloud App Apps plan. 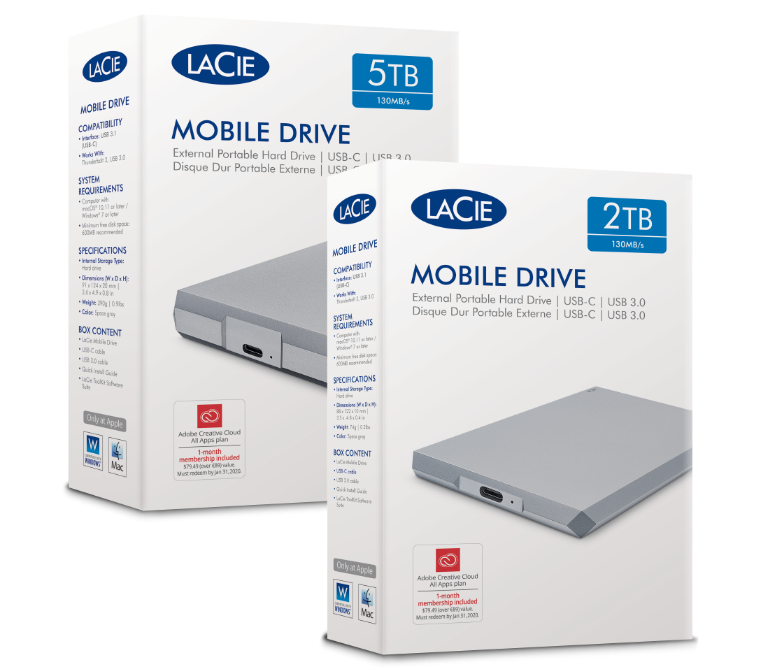 The LaCie Mobile Drive will be available in January and comes with a 2-year warranty. The Mobile SSD comes with a 3-year warranty as well as a 3-year subscription to the Seagate Rescue Data Recovery plan. Pricing and exact details of the retail availability are yet to be disclosed. In addition to the LaCie products, Seagate's Backup Plus family is getting the new Ultra Touch lineup in 1TB and 2TB capacities with a woven textile enclosure. This product line comes with features such as automatic backup with multi-device folder sync and data protection with hardware encryption. The 1TB version is priced at $70 and and the 2TB at $0. The Backup Plus Slim (1TB and 2TB capacities) and Backup Plus Portable (4TB and 5TB capacities) now come with lustrous aluminum finishes The new Backup Plus models include a complimentary 2-month subscription to the Adobe Creative Cloud Photography Plan. The products are expected to be available for purchase later this quarter.